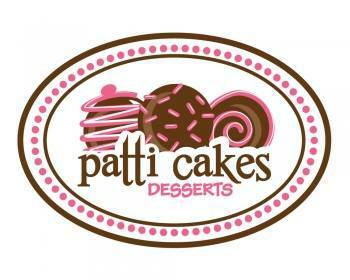 Dress up your dessert with colorful chocolate, sparkling sprinkles, and customized designs by Patti. The classic cookie you love, dipped in extra sweetness and topped with decorations of your choosing. 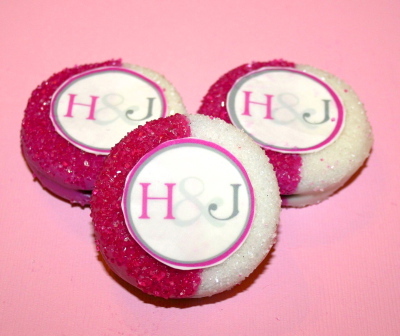 Perfect for any event or just to make any day a little sweeter. Monograms, pictures, logos, and more! 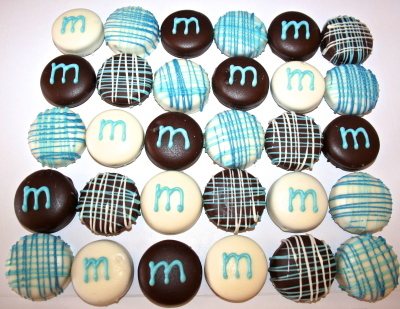 Make chocolate Oreos an extra sweet addition to your next birthday party, family gathering, or corporate event. 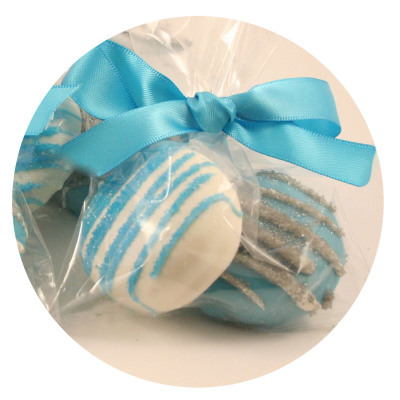 Brighten any occasion with deliciously decorated chocolate Oreos! 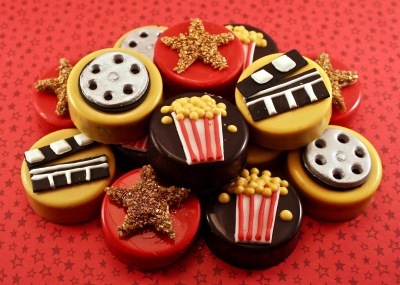 Take your theme to the next level with these customized bite sized treats. 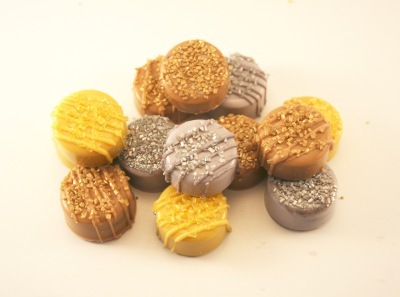 Treat your guests to chocolate-coated goodness personalized to your choosing and decoratively wrapped in eye-popping packaging. 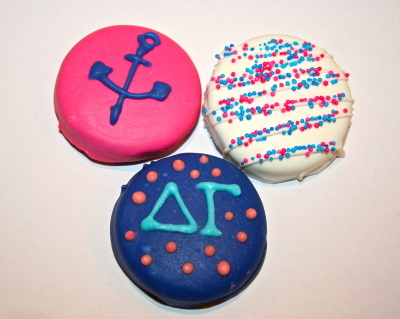 Show Greek pride with Oreos decorated in your sorority or fraternity colors and letters. 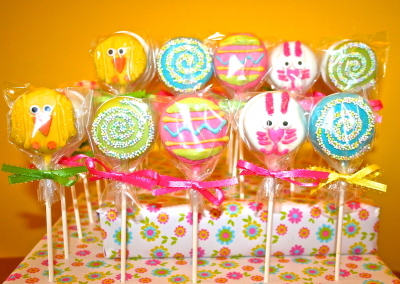 Perfect for rush, birthdays, or big/little gifts. 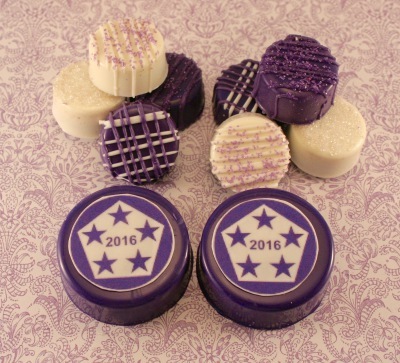 Add some sweet pleasure to your next business event with chocolate-coated Oreos customized with your company's colors or logo. Small in size but big in flavor, these bite-sized goodies add a little sparkle to any occasion. 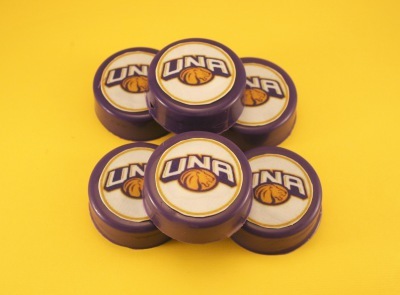 Rep your school colors, logo, or mascot on chocolate coated Oreos! Perfect for tailgates, graduation gifts, or just to show some school pride.